Merge sort is divide and conquer sorting algorithm. It is efficient, comparison based sorting algorithm. 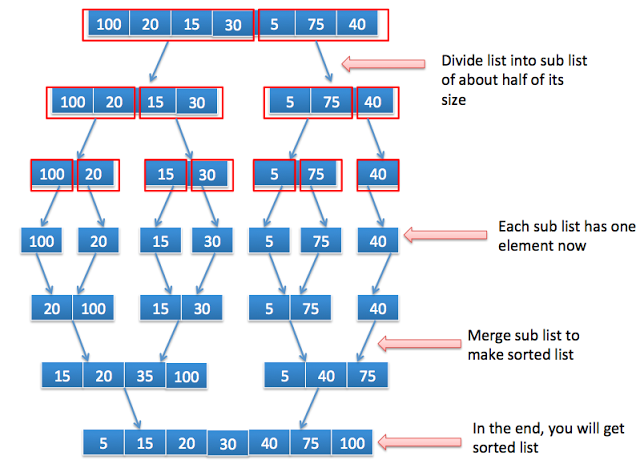 Merge each sublist repeatedly to create sorted list. It will run until we have only 1 sorted list. This will be the sorted list. I have printed intermediate steps to understand algorithm better.